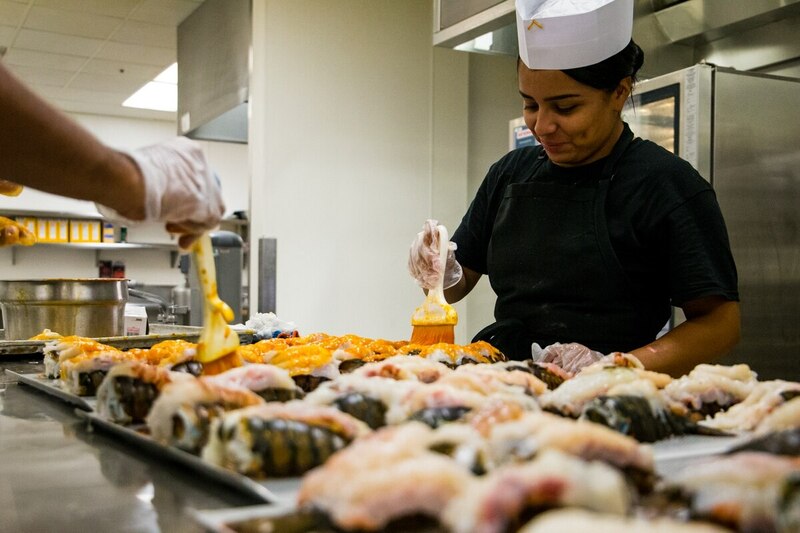 The Pentagon’s lobster dinner bill: Government waste or good food? Spending $4.6 million on shellfish isn’t a sign of government waste, according to the Defense Department’s top finance official. In testimony before the House Budget Committee on Wednesday, Pentagon Comptroller David Norquist pushed back on news reports of lavish military culinary spending that generated headlines in recent week. The money was not part of a wasteful party, he argued, and is in line with other military food costs. The federal government found a way to spend $97 billion in a single month last year, of which more than $61 billion can be attributed to the Pentagon. The comments came amid questions about the Defense Department’s first-ever audit, a massive financial review completed last spring that involved more than 1,200 financial specialists combing through military spending. Earlier this month, the nonprofit advocacy group OpenTheBooks released a detailed report related to some of those findings, criticizing Pentagon leaders for spending $97 billion in a single month last year in an effort to use up extra funding. Among their list of waste were $2.3 million on snow crab, Alaskan king crab, and crab legs and claws, and another $2.3 million on lobster tails. The group said all of that money was spent at the end of the fiscal year, in a luxury spending spree. But Norquist told lawmakers that total wasn’t spent in a single month, but instead over the course of the year. Accounting practices had the total recorded at the end of the calendar, giving the impression it was spent in a single buying spree. After years of delays, the Pentagon has completed its first-ever audit. Norquist estimated that the total spent equals a seafood feast of about “one meal a month” for troops. He also pushed back on reports of $800 million in “lost” construction funds, saying that the audit revealed that money was being improperly classified as incomplete projects even after work had finished. The bookkeeping error represents “something we need to get fixed,” Norquist said, but not lost or misspent money. The comptroller did not address other specifics in the report, and did acknowledge that scrutiny of the Defense Department’s $700 billion-plus budget for fiscal 2018 has turned up other instances of waste and misuse of government funds. Democratic lawmakers at the hearing — who have been publicly skeptical of the administration’s $750 billion budget request for fiscal 2020 — said they will be carefully analyzing the audit findings and outside waste reports as they evaluate the department’s funding needs.